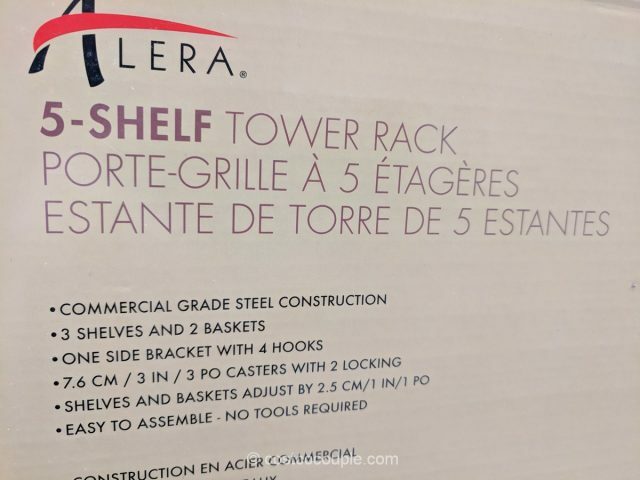 The Alera 5-Shelf Tower Rack is constructed of commercial-grade steel and has a total of 5 shelves. 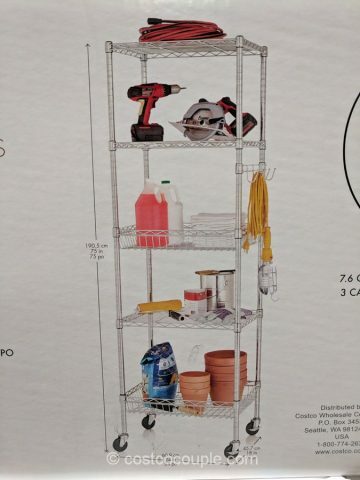 Two of those are basket shelves while the other 3 are regular flat shelves. 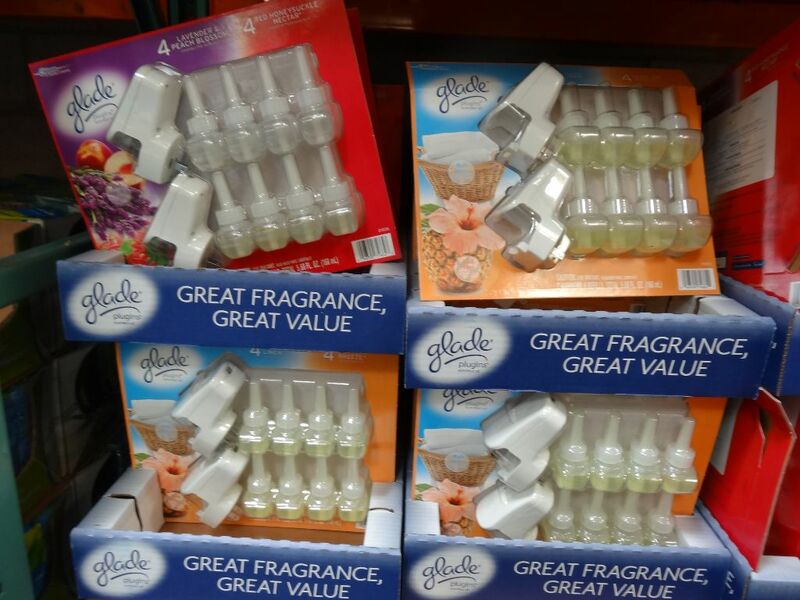 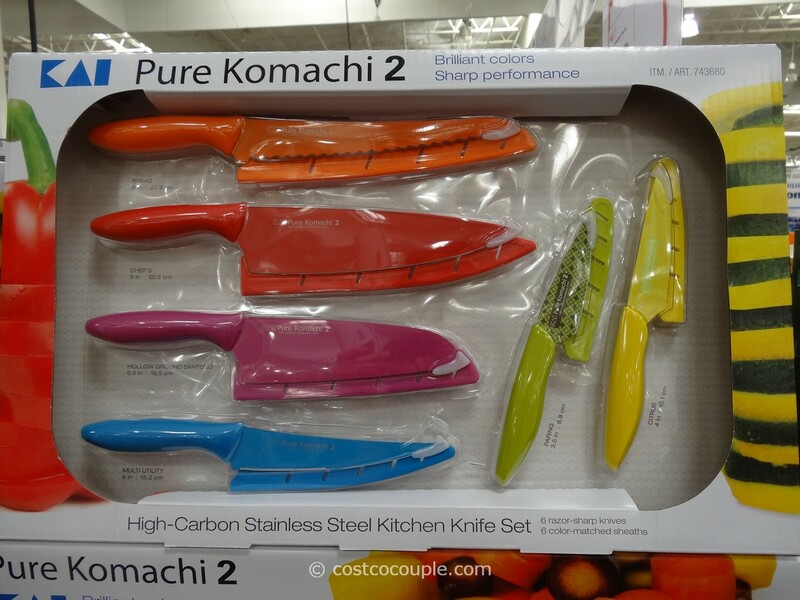 You can adjust the location of the shelves in 1″ increments. 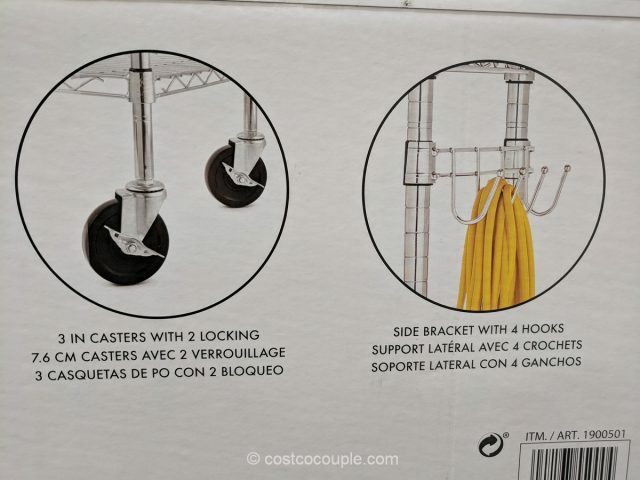 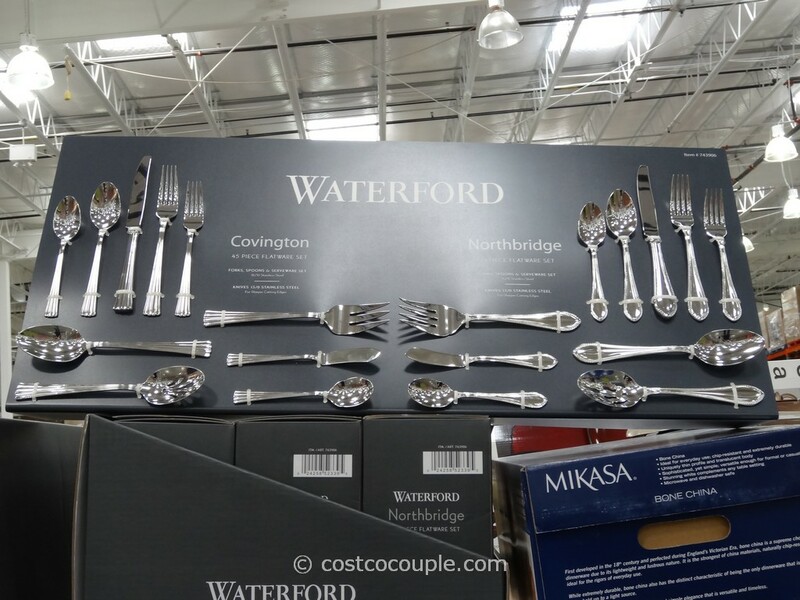 A side bracket with 4 hooks are included in the set. 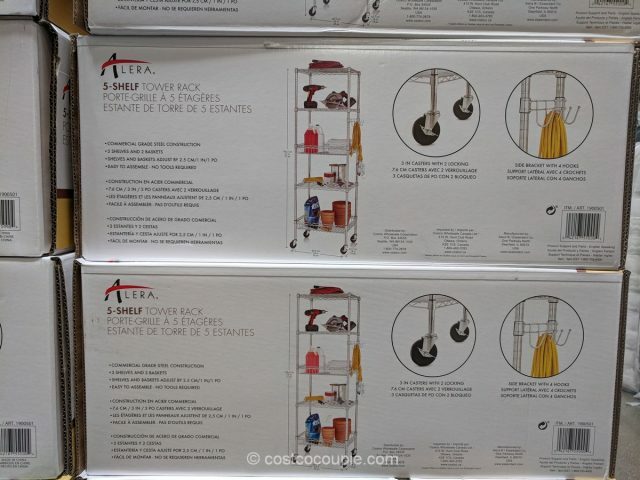 The tower rack has four 3″ casters, 2 of which are locking. 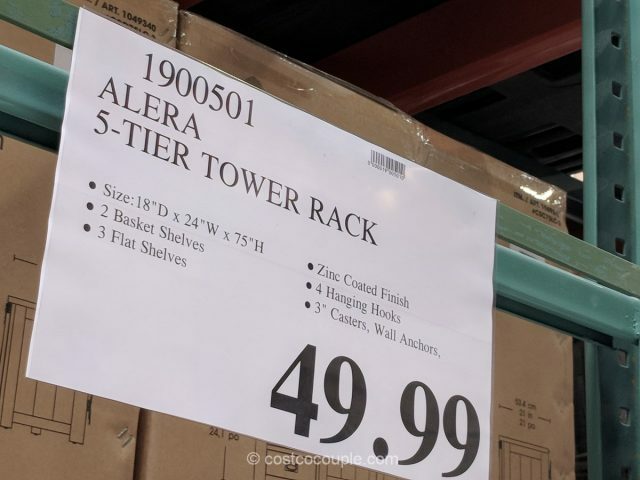 The Alera 5-Shelf Tower Rack is priced at $49.99.